Because the quality of your continuing education can directly affect your professional development and achievements, this educational conference is designed by YOU for YOU, the clinical laboratory professional. The CLC Sponsoring Organizations, AACC-NEO and OVS, ASCLS-Ohio, CLMA-First Ohio, Six Rivers and Western Lake Erie chapters, and OABB, are hard at work planning our 10th Ohio CLC! The 2019 Ohio CLC Booklet is now available! Register online until April 3rd! Looking for something to do Thursday evening after the Vendor Reception? 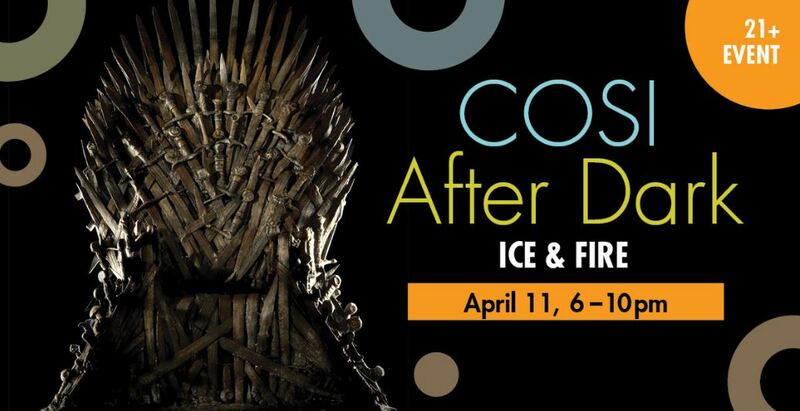 Join some of your colleagues at COSI After Dark. Tickets can be purchased online ($14 - $18) or at the door ($20). Note: This is a 21+ event. The preferred hotel for this event is the Hampton Inn & Suites Polaris. Guest rooms have been reserved for the nights of Tuesday, April 9 - Friday, April 12 for a special rate of $117.00 per night, plus applicable taxes (king bed or double beds) for conference attendees (this price include wifi and breakfast for 2). These group rates are available until March 20 (or until they run out of rooms) so be sure and book early! There are other hotels located in the area as well, many within 5 miles of the conference center.